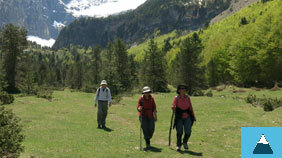 We are experts in mountain holidays in the Pyrenees including Pyrenees guided walking holidays, trekking, cycling, canyoning, multi-activity, adventure holidays, skiing, snowboarding, snow-shoeing, ski touring and a whole range of other activities.Whatever your level or pace, we’ll help you enjoy the mountains with our range of Summer and Winter activity holidays. 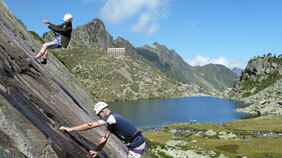 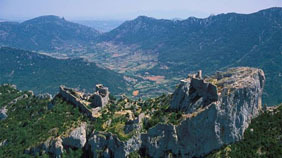 As we are a small company, we can tailor our holidays and calendar of activities to suit your interests and abilities. 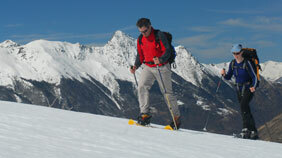 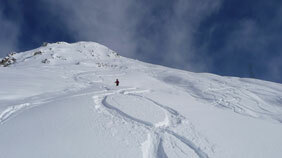 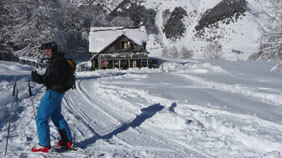 Contact us or read more to find your ideal active mountain holiday. 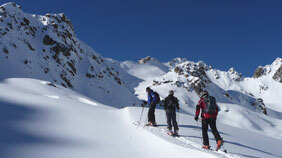 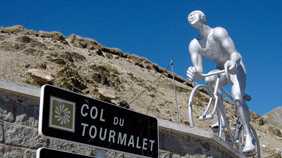 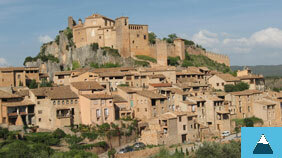 Our year-round base, the mountain village of Bareges, is in the French Pyrenees close to the Spanish border. 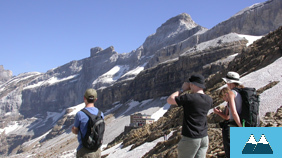 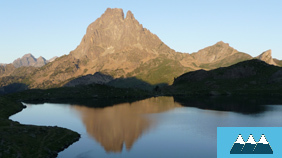 Mountain Bug holidays visit both the French and Spanish Pyrenees, allowing us to make the most of the very different climatic zones and the striking contrasts in the landscape, geology, flora and fauna of these spectacular mountains. 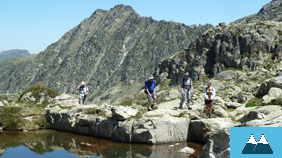 The Pyrenees are also great for families – visit our family holidays pages for details of our guided activities for older kids, as well as suggestions for families with young children. 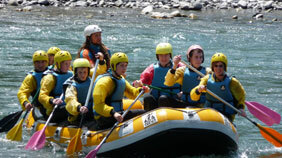 To find out more about what we offer, please either read about each holiday type or visit our Winter Calendar and Summer Calendar for details of our dates, prices and availability.